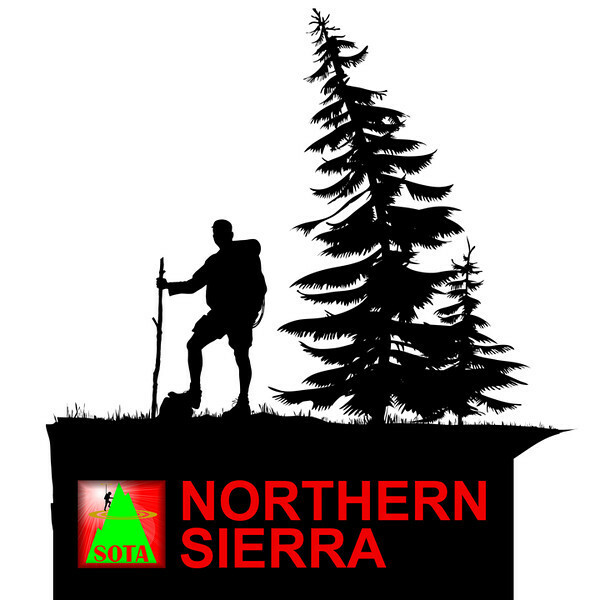 The SOTA Northern Sierra region logo. This logo is available on Northern Sierra T-shirts, sweatshirts, beer steins, mouse pads, etc. for SOTA participants who qualify for the Northern Sierra Award (offered by yours truly KU6J). The award rules are linked to from my page on QRZ.com. Today I wore my Northern Sierra sweatshirt.